Photos: On Physcia tenella. Macroom, Co. Cork, SW Ireland. Orange sclerotia occuring on dead and dying parts of the host thallus. 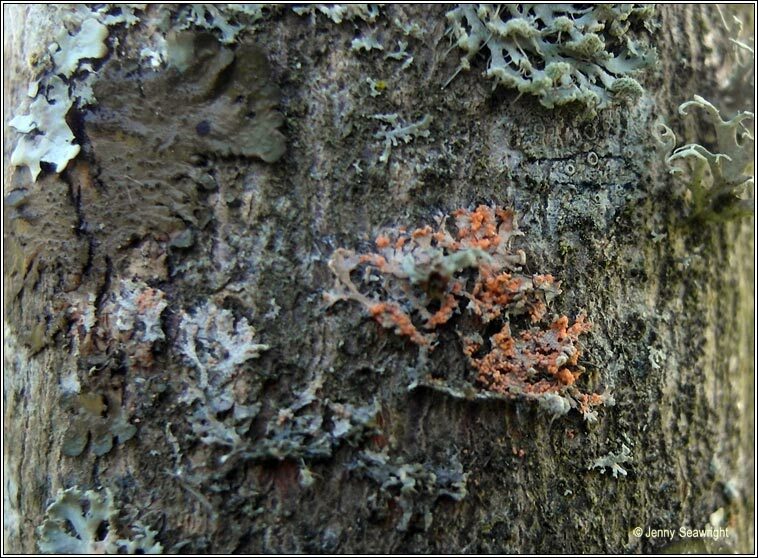 Parasitic on corticolous Physcia species, sometimes spreading to neighbouring lichens. It is probably widespread but is infrequently recorded. 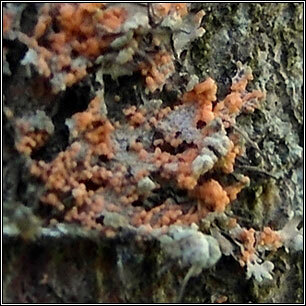 Similar: Marchandiomyces corallinus. Sclerotia bright pink, on various lichens including Parmelia and Physcia species.